Woollyhugs > Latest.. > Auction > Spring Auction 2019 > Spring Auction. Number 58. Beautiful Japanese style knot bag in birdy print. 58. Such a beautiful Japanese style knot bag. 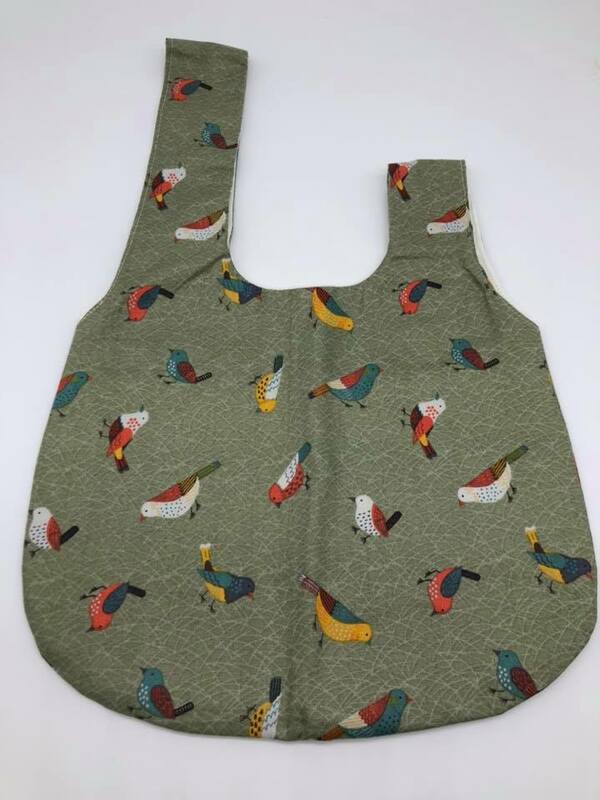 Gorgeous birdy print, reversible with the inside lined in cream. Perfect for a small on the go project. Like Chernobs sqs. Bag measures approximately 25cm by 21cm excluding the handle. item name : Spring Auction. Number 58. Beautiful Japanese style knot bag in birdy print. Spring Auction. Number 60. Super cute felted Easter mouse clip on decoration in little green bonnet.